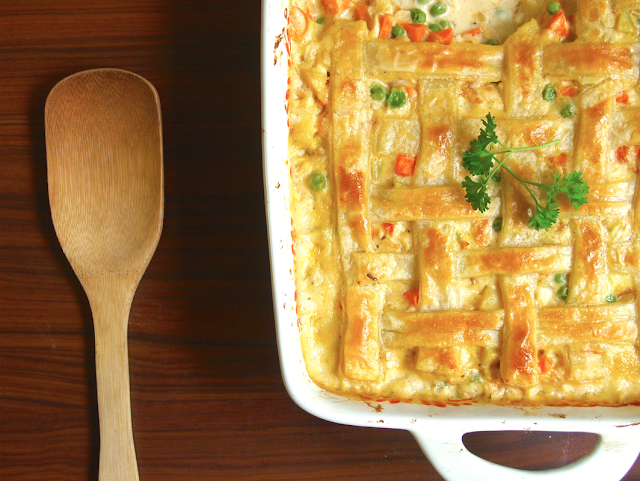 If I had to choose a favorite type of food, it would most definitely be comfort food. I'm a firm believer that preparing and eating food should be enjoyable. Comfort food is that style of food that you know everyone will like, so it's usually what I turn to when we're having guests over for dinner. 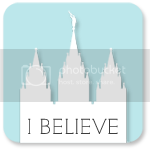 No one says no to mac and cheese, spaghetti and meatballs, fried chicken, chicken noodle soup or pot pie! 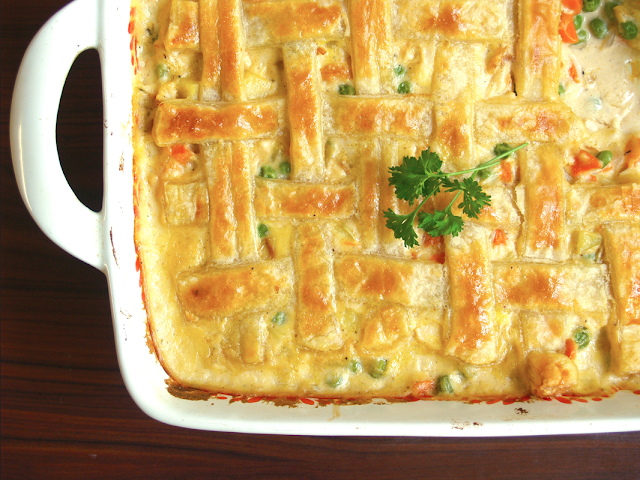 This chicken pot pie has been one of our favorite go-to meals since we've been married. I make a big ol' 9 by 13 of it, and we eat the leftovers for the next couple of days (I'm not proud to admit that one time Austin and I ate the entire thing in less than 24 hours). 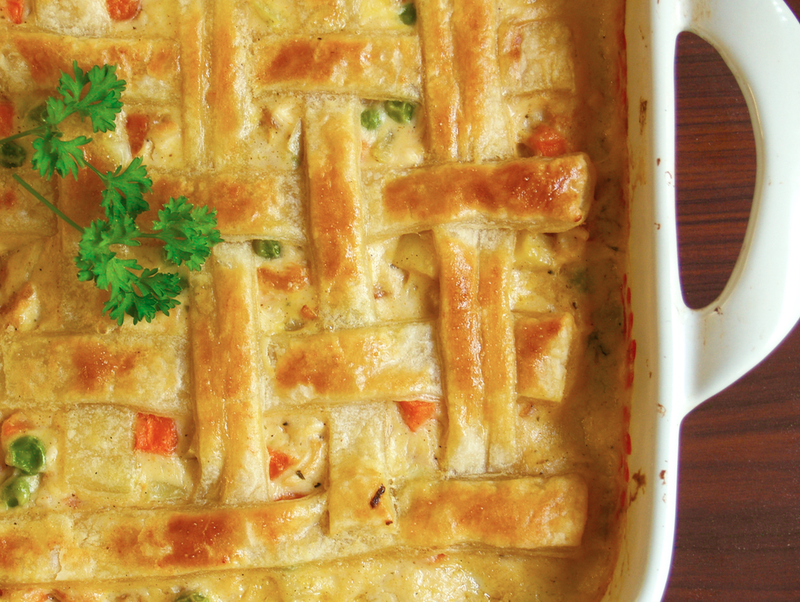 This recipe is easy to make, due to the majesty of frozen puff pastry. Just take it out of the freezer to defrost while you prepare the filling, slice it up, and you're good to go! 2. In a large pot, melt butter over medium-high heat. Add onion, celery, carrots, potatoes, and salt. 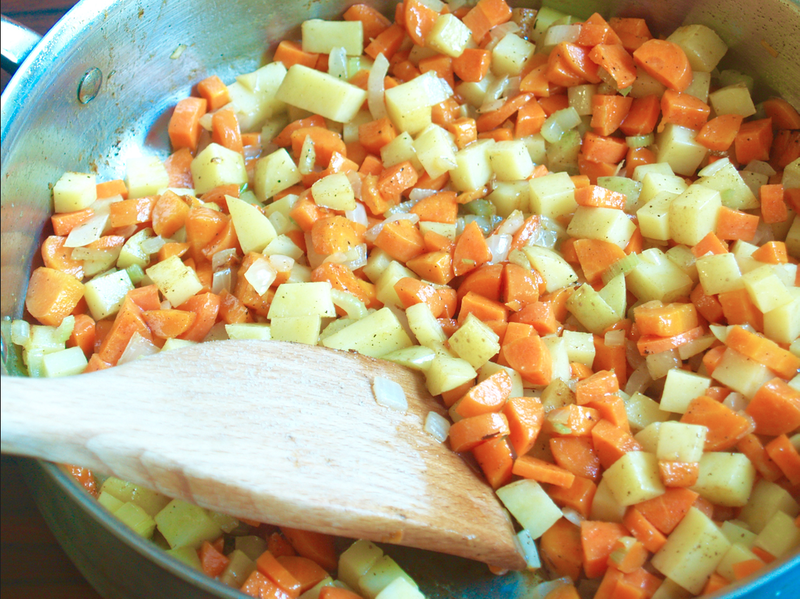 Sauté until the vegetables start to soften. 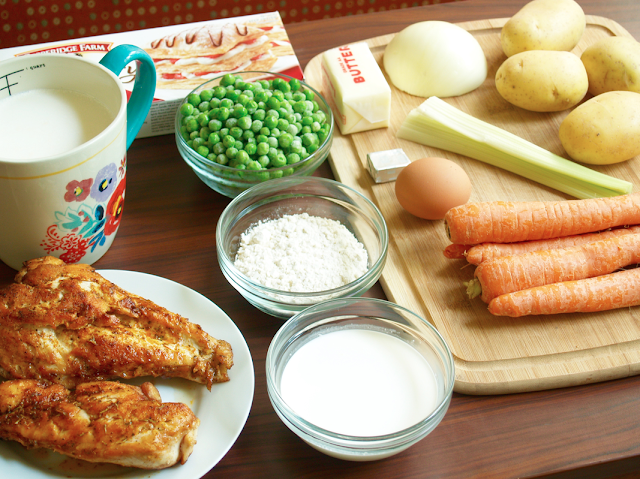 Sprinkle flour over vegetables and cook 1-2 minutes more. 3. Add milk, cream, and bouillon. 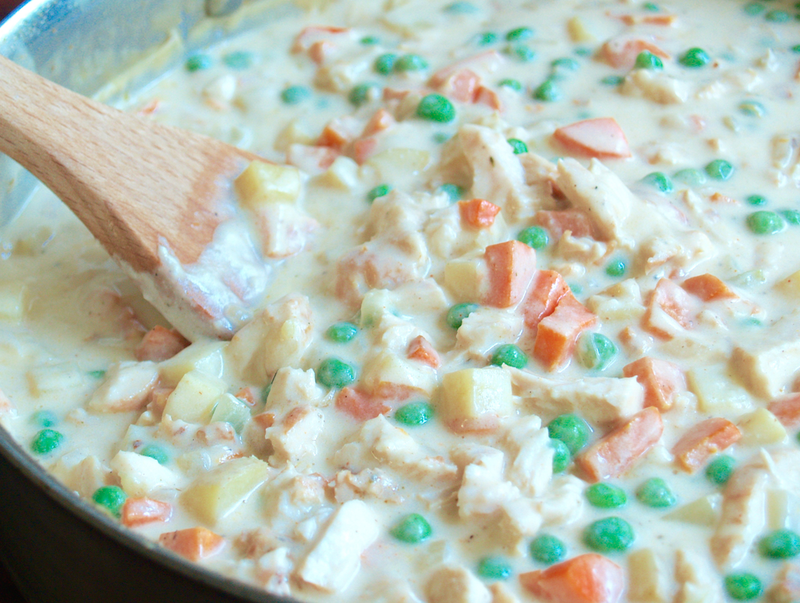 Cook until the mixture thickens to the desired consistency. 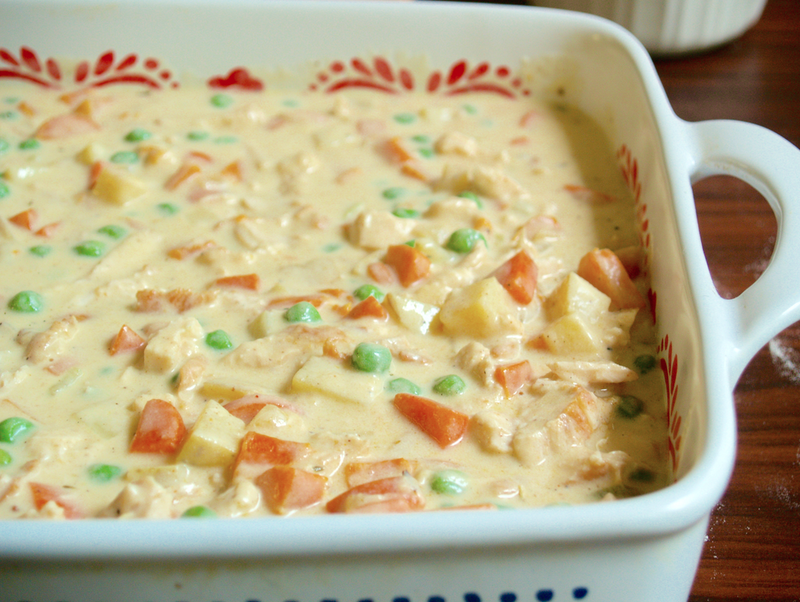 Turn heat to low and add chicken and peas and cook until thoroughly heated. Season with salt & pepper. 4. 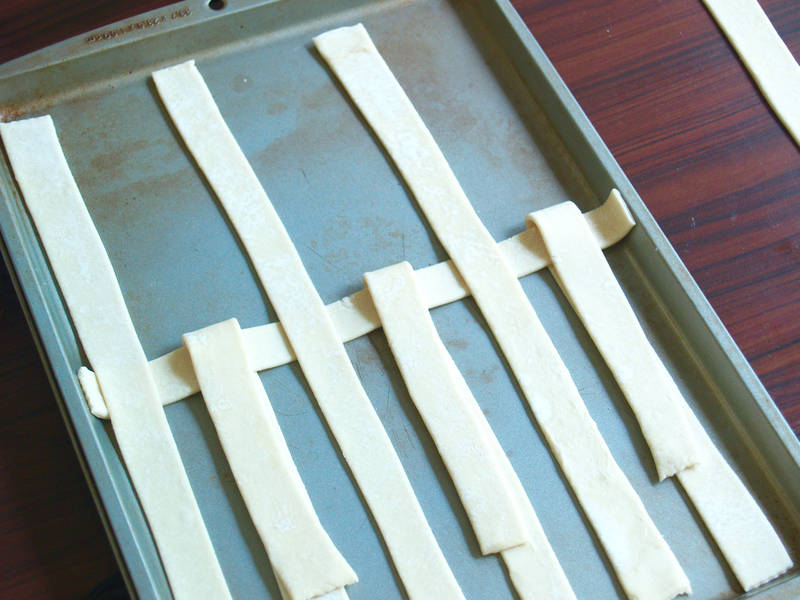 Pour mixture into a 9 x 13 and pop the puff pastry lattice on top. Brush with a beaten egg and bake for 25-35 minutes, or until golden brown. 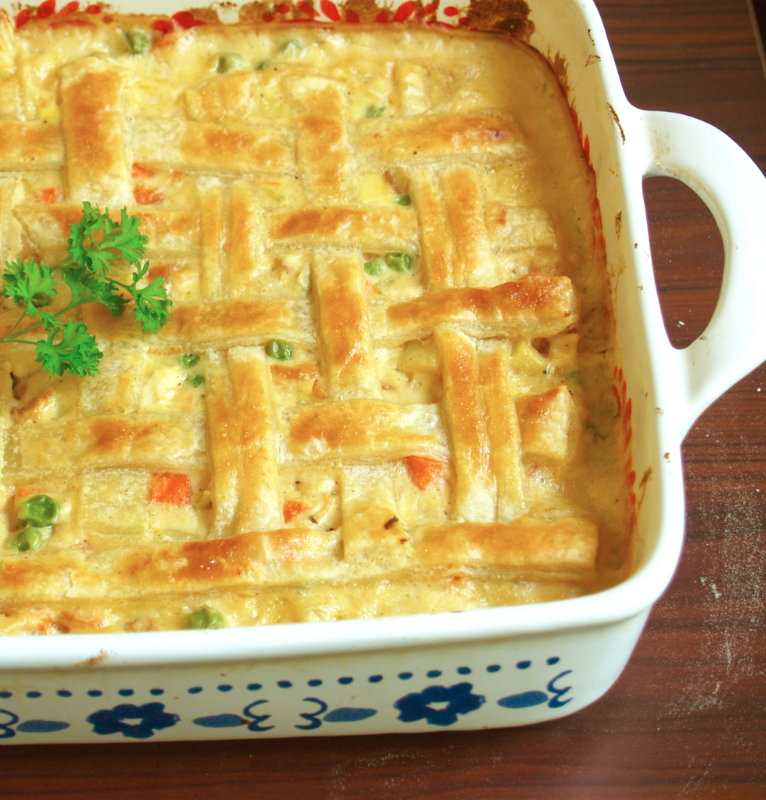 Let sit for 10 minutes before serving (this allows it to thicken up again and prevents you from burning your mouth). *You can cook the chicken any way you like. Sometimes I cook it in the crockpot and shred it. Other times, I cook it on the stove and chop it. Anything works! I season with Emeril's Essence. 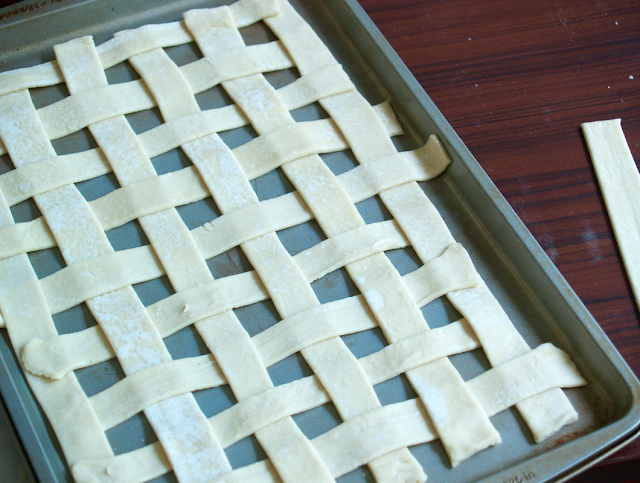 ***This method makes it way easier to pop the lattice on the pie and throw it in the oven. 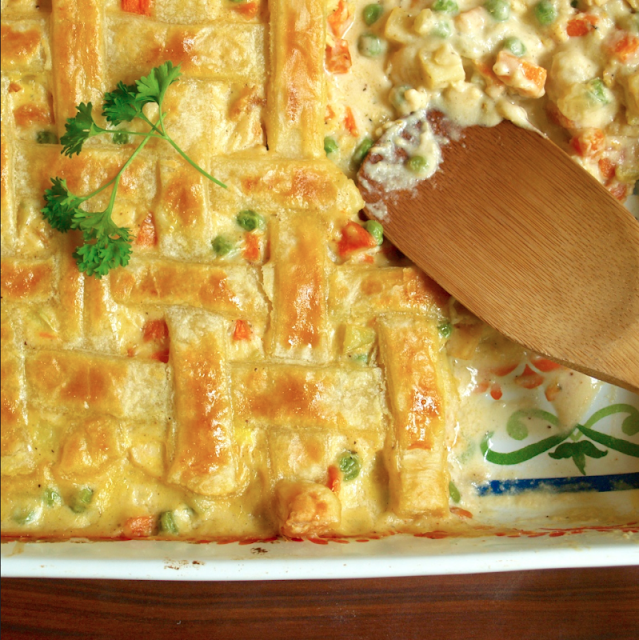 You can make the lattice right on the pot pie, but the puff pastry starts to get kind of melty. I have my own recipe but was looking for how long to cook the puff pastry. Love your lattice top idea as i also have a 9x13 pan. Just made the lattice, it's chilling in the freezer. Thanks for the tip, can't wait to try it later!